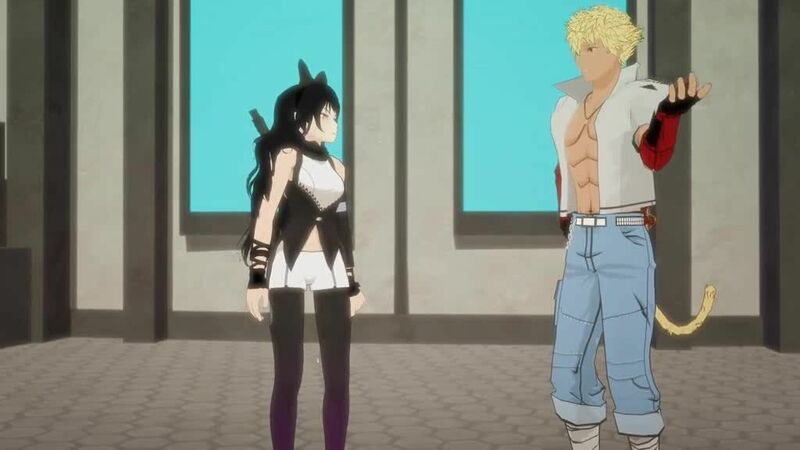 You are going to Watch RWBY Volume 2 Episode 5 online free episodes with HQ / high quality. Stream cartoons RWBY Episode 15 Online Pyrrha battles Team CRDL in a practice battle, defeating them, and then has a sparring match with Mercury. However, Mercurcy abruptly forfeits after Pyrrha displays her powers. Blake becomes increasingly exhausted and irritable, refusing to take time off from investigating, concerning her friends. Jaune attempts to serenade Weiss to going with him to the upcoming dance but she rejects him. Jaune spars with Pyrrha and tells her his sorrows, assuming Pyrrha has no issues being asked on dates. Cinder, Mercury and Emerald discuss Pyrrha’s powers, and add her to a list of people whose powers they shall “remove”.